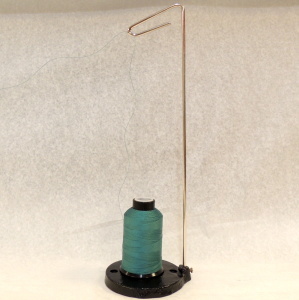 The thread we sell comes off the spool from the top. This thread stand makes that happen! Solid metal with a weighted base.